Size: 1.21 x 0.83 mt. 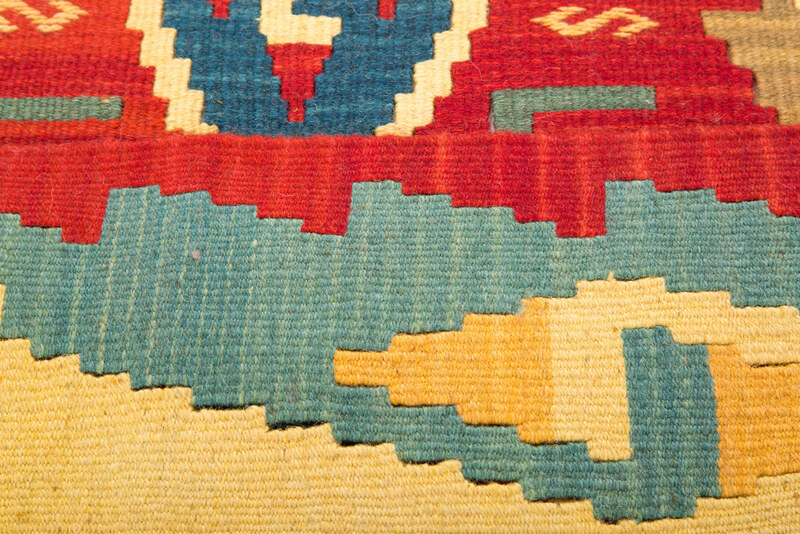 These sturdy Kayseri Kilim rugs are flat woven rugs with the magical hands of Kayseri nomads from Turkey. 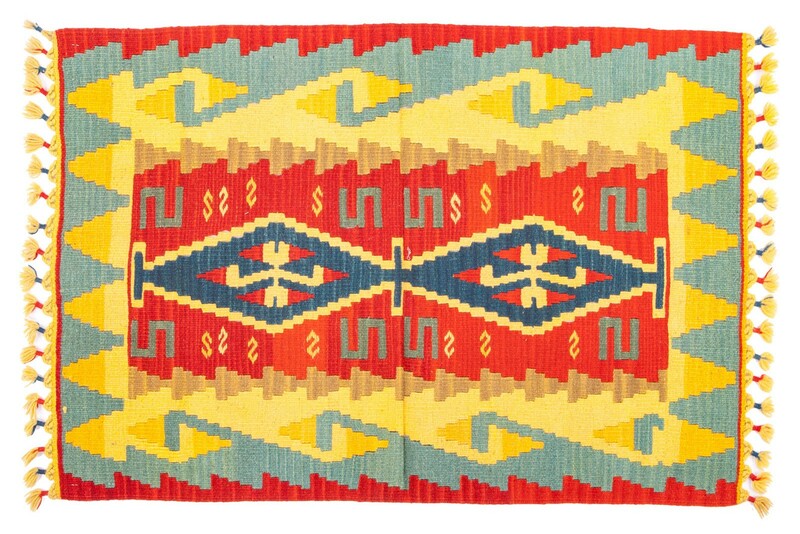 Kayseri kilims are woven using the slit weave technique, where there is colour change there will be an open slit in the weaving. 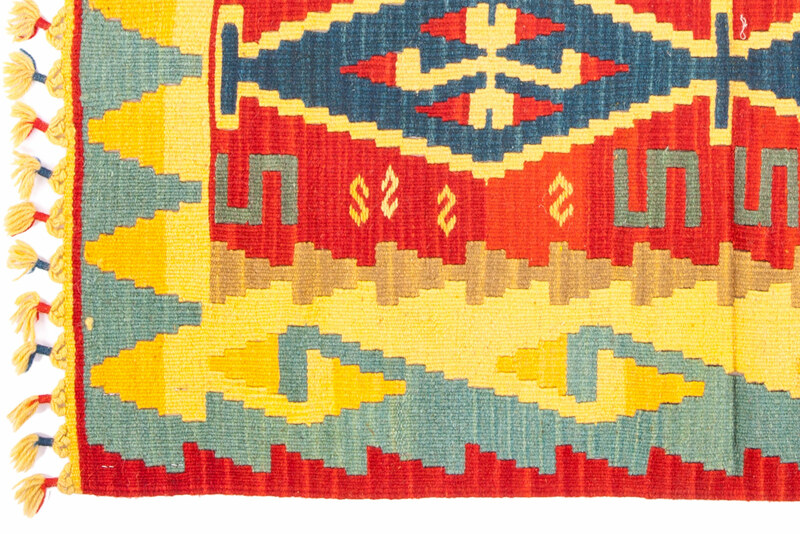 Made from natural 100% wool and good quality dyes make each rug a unique handwoven piece of ethnic art to be treasured for a lifetime . 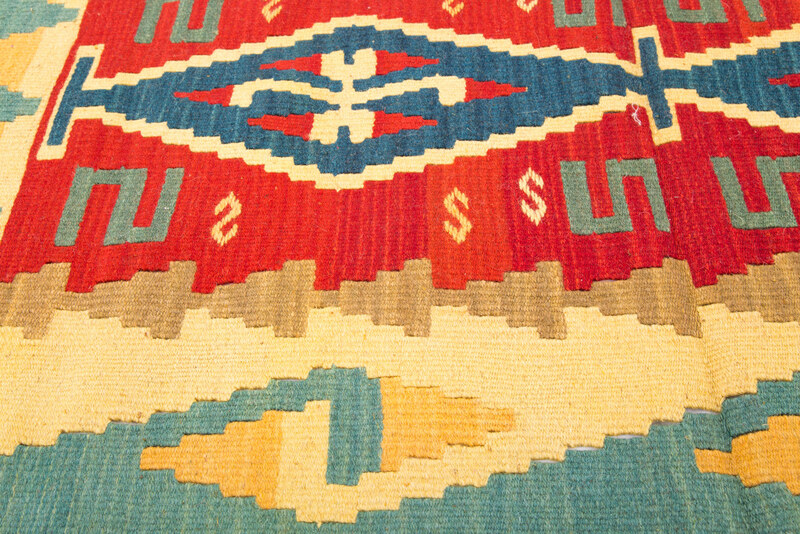 These sturdy Kayseri Kilim rugs are flat woven rugs with the magical hands of Kayseri nomads from Tu..